Labcenter Electronics a leading developer of electronics CAD (schematic, simulation and PCB autorouting) software has released an update (SP1) to Proteus 8.3 - is the latest release of the Proteus Design Suite CAD Software. Proteus 8.3 was largely based around re-working the way in which we transition from PCB Layout (ECAD) through to mechanical layout (MCAD). Over the last few years the STEP file format has become the de-facto standard for data exchange and we have therefore implemented full support in the Version 8.3 release. - Support for MCAD data exchange via STEP and IGES file formats. Both import of component STEP/IGES files and export of the resulting STEP Assembly is supported (requires L2 or higher). - Extensive modifications to existing libraries to include pre-supplied STEP files for radial electrolytics, connectors and some other common parts. - Support for multiple track editing operations and enhancements to track necking. - Enhanced support for design re-use via sub-circuit binding on the Replicate command. - Enhancement of print sets in ARES to allow paste and soldermask prints alongside copper layers. - Addition of single layer options for keepout objects (ctx menu command on the keepout object). - Significant rework of the PDF output to address various issues with the existing implementation. Also added SVG output. - Addition of MSP430G2x variant set. - Addition of PIC18F45K50 variant set. Application Framework. Now Proteus 8 consists of a single application with lots of modules (ISIS, BOM, ARES and 3D Viewer, etc.). The modules can be opened in tabs in the application window, you can drag and create additional Windows and browse multiple tabs. This allows you to work not only with ISIS and ARES, as it was in previous versions, but also with other modules, such as ISIS and VSM Studio to debug, ISIS and specification for the report, ARES and 3D Viewer for inspection. Common Parts Database. Common database components enables the exchange of data between Proteus modules in the current project. The elements represent the physical components on the PCB and at the same time represent the logical elements on the diagram. Live Netlisting. Live list of connections available to all modules, allows you to reflect changes in real time. Schema changes result in changes of the PCB and in turn, to changes in specifications. The 3D Viewer. In 3D view, in addition to OpenGL supported graphics DirectX, added multithreading to speed rendering. Also used the live connection list, so changes made in ARES are displayed in the 3D Viewer. Bill of Materials. Brand new module documentation for the project. The ability to save the specifications in popular formats PDF, HTML and Excel. VSM Studio. Integrated development environment that allows you to simulate and debug your project in Proteus VSM, and automatically configure the compiler for a specific firmware. 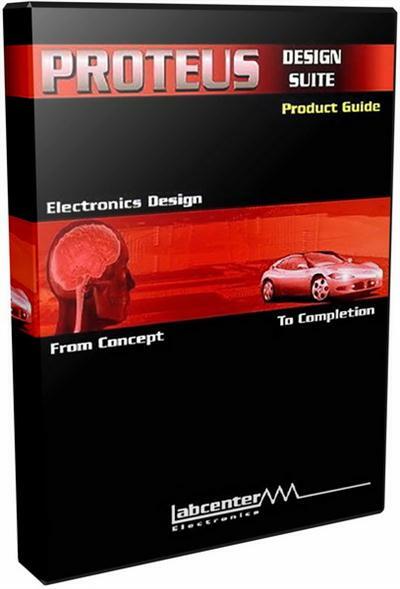 Program PROTEUS VSM is ideal for beginners who want to start learning microcontrollers.